White Pét-Nat. White Young Thing is the classy one among our three pét-nats from this vintage, being a Chardonnay with bubbles. Quite plush, it already starts showing some yeasty development. We would suggest drinking it this Summer - no occasion required. Enjoy well chilled! Pink Pét-Nat. Bright and pure. We chose to disgorge this one which made it into a pét-nat you can actually see through. Total pukka. Very easy drinking at its 9.1%. Linear, with a savoury edge. Again, made for the summer and ready just in time for that. Red Pét-Nat. Made from the same fruit as Bright Young Pink. Unmistakably Pinot Noir, it really is a result of a very unique season - full of flavour at 8.9%. 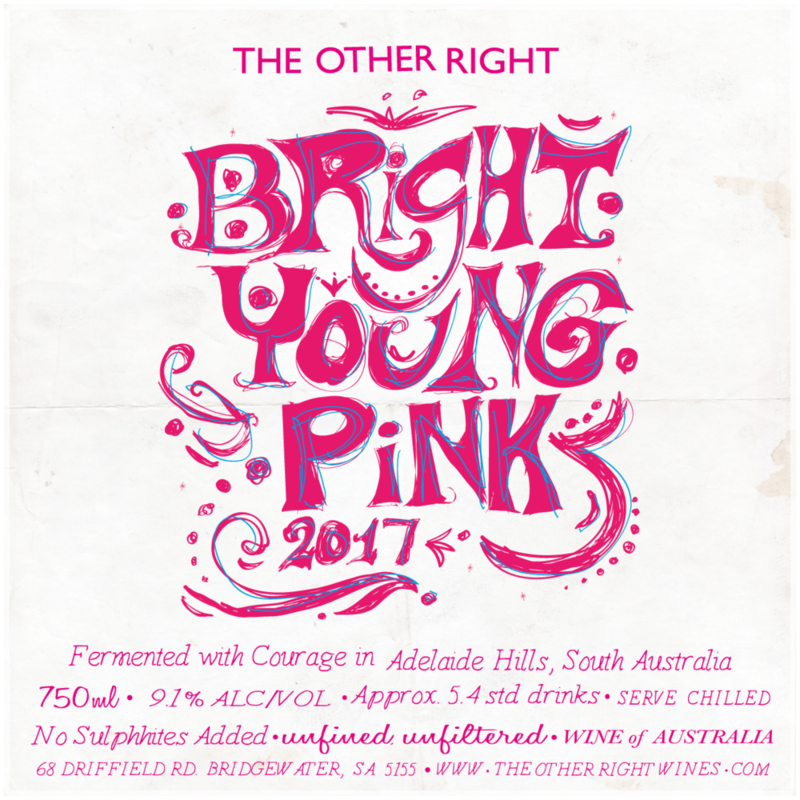 As the name suggests, it’s really bright and vibrant, although on the darker side than the Pink, utterly fine tuned and civilised. Probably the most refined of all the Bright Young Things we’ve ever made. It has been a couple of years since the last time we made this one, but we're delighted to have ended up with Pixies in the barrel once again. Our tribute to the Jura. A bit hectic, a bit reductive and very exciting. Very smooth and easy going, simply joyous. Comes with a warning - It’s quite hard to put this bottle down. Outright gluggable. Skin contact Viognier. Again, what a season! If last year it was a lot of Viognier with a bit of spice, now the spice is really leading the show. Ginger, apricot and bergamot gave way to green black pepper and cardamom, but, of course, it is still an orange Viognier. Really unique, we might not see it doing the same thing next year. Light, slurpy Shiraz. Grown in a vineyard that is very special to us. This is our fourth year working with this vineyard and it just keeps getting better. Crunchy and carbonic. Uncomplicated and easy-going but never boring and simply full of joy. All of our fruit is coming from vineyards which are managed by organic and sustainable farming practices, the grapes are handpicked and wild fermented.